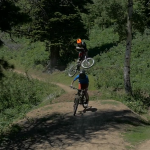 Filmed by Bike features the best bike movies from around the world. 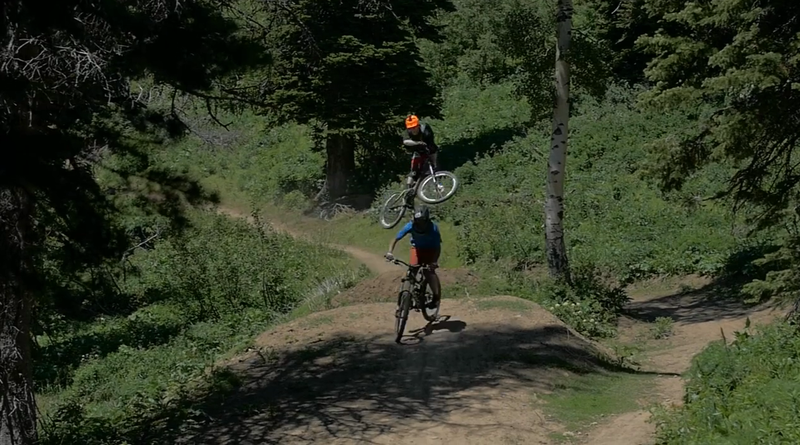 Tonight is broken into two amazing programs that showcase an inspiring mix of fun-loving bike stories. From documentaries to animated shorts, sink into your theater seat as lose yourself in the creative world of bikes. Both programs are unique and only play tonight – we recommend you see them both. Dublin Cycling Stories is a series of short portraits of people who use bikes to get around Dublin. 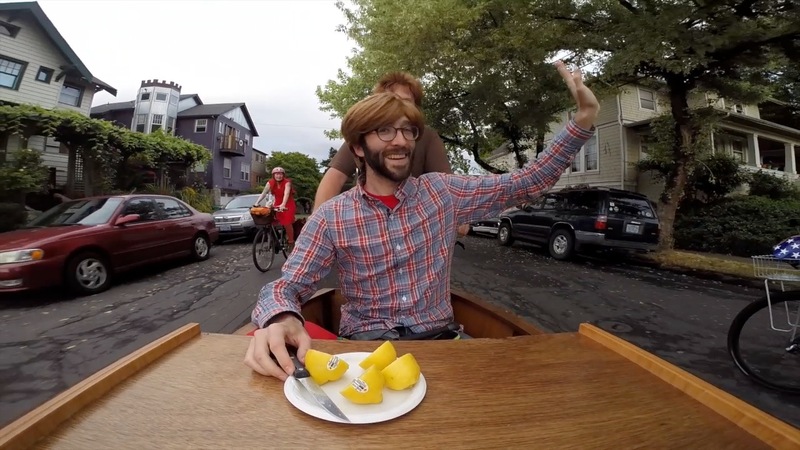 The Pedal Powered Talk Show crashes the annual Ginger Ride in Portland, Oregon and interviews participants while riding along. James is a very enigmatic man who has taken it upon himself to collect one bicycle from each developmental epoch for future generations to enjoy. Watch mt. bike racers fight for their right to finish the annual Ingerucker race in a world without gasoline, where bicycles are the only means of transportation. Lucas Brunelle and Chas Christiansen cross the incredible Darien Gap between Colombia and Panama, the most secluded jungle on the earth where the Pan-American road stops. After a traumatic misunderstanding, a man chases a bandit across town to reclaim what is rightfully his. Bill is fifty-two years old, has a mountain man beard and delivers pizza on a fixie in Brooklyn. Over the course of several shifts, DELIVERY unveils an intriguing man rushing food to your door while it’s still hot and fresh. Cuba underwent a bicycle revolution during its five year ‘Special Period’ in the 90s. 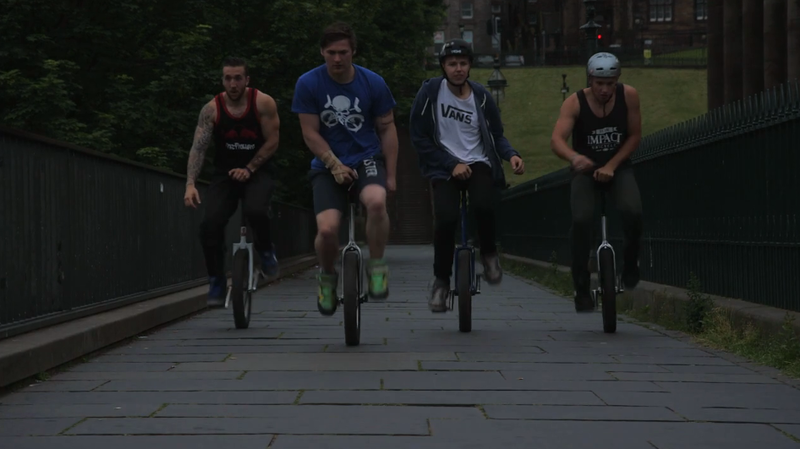 Oil was scarce and bicycles where introduced as an alternative mode of transport. 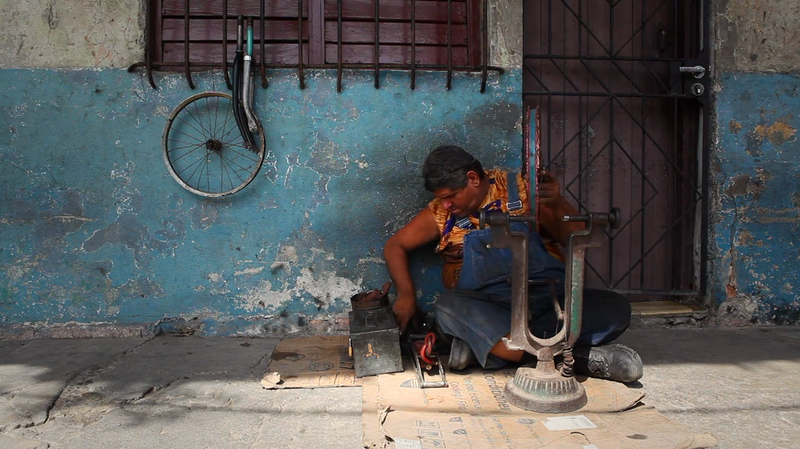 Thousands of Cubans used bicycles on a regular basis, as pedalling became the norm on the island. Years later, the transportation crisis subsided and motorised vehicles returned, and the country’s bicycle culture took a hit. 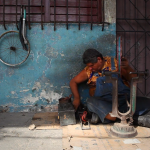 Now, new bikes are difficult to come by and parts are not readily available, yet many Cubans still use bicycles daily and, despite the limited resources, a handful of mechanics provide a service to those who rely on their bikes in their everyday lives. 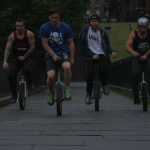 A portrait of the UK’s only extreme unicycling display team, Voodoo Unicycles shot entirely on the empty streets of Edinburgh in the early hours of the morning. 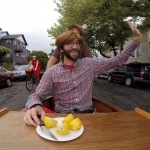 A happy couple decides to enjoy the afternoon by going for a ride on a tandem bike. 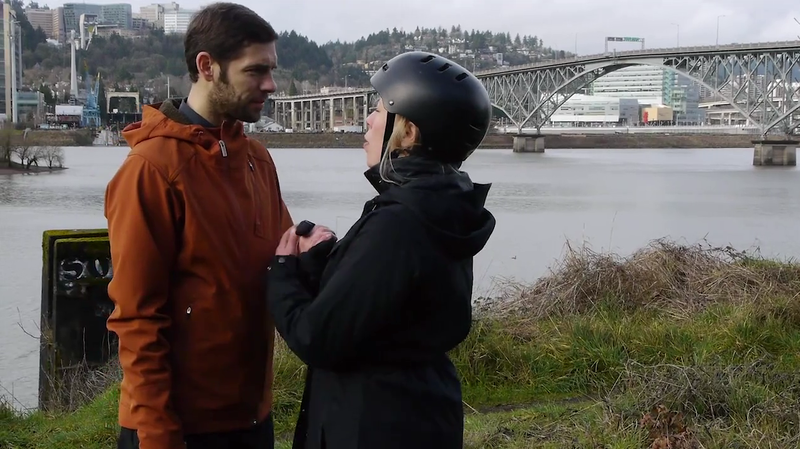 Veteran Filmed by Bike filmmaker Mike Vogel returns with another of his hilarious shorts crafted specifically for the Filmed by Bike audience.